Following a 12-year hiatus, Dutch technical death metal veterans, Pestilence, reformed in 2006 and now they're finally making it back to North America to tour for the first time in 16 years. The band will launch a 17-date trek with Warbringer, Vital Remains, Enfold Darkness and Sacrificial Slaughter, which starts May 30 in Baltimore and runs through June 17 in New York City. Pestilence will be touring to support their 2009 album, 'Resurrection Macabre,' and are currently working on material for their next album. The band will be playing without bassist Tony Choy (Atheist, ex-Cynic) and drummer Peter Wildoer (Darkane), who both left the band after their last album. They have been replaced by bassist Jeroen Paul Thesseling (Obscura) and drummer Yuma Van Eekelen (the New Dominion, Brutus). 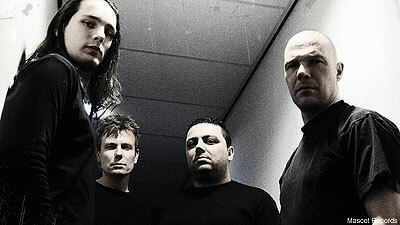 Direct support band Warbringer are still touring for their 2009 sophomore album, 'Waking Into Nightmares.' Before embarking with Pestilence, the band will headline a batch of shows before heading out with Overkill, Vader, God Dethroned, Evile and Woe of Tyrants on April 1 in Philadelphia. Those dates run through May 1 in New York City.